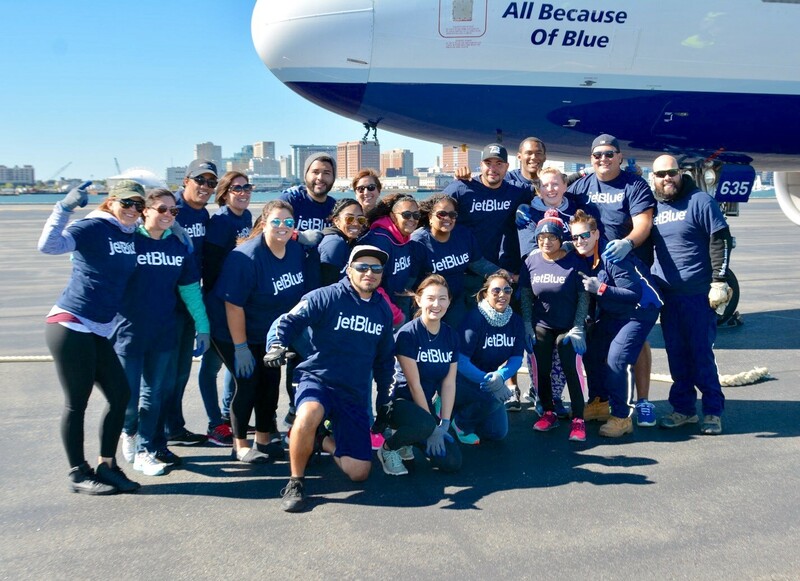 Throughout November, JetBlue is continuing its mission of inspiring humanity with JetBlue For Good Month, a celebration of kindness and good deeds. Throughout the month, we’ll be sharing stories from our crewmembers and community partners who have gone above and beyond to make a difference in their communities. What inspired you to get involved in giving back to your community? I come from a very outspoken Italian family who shaped me to not be shy or stand in the background. They also taught me to always step up and do what I can to give back. If I can do something to help someone, then I want to do it! If I can give back in any way, I will! 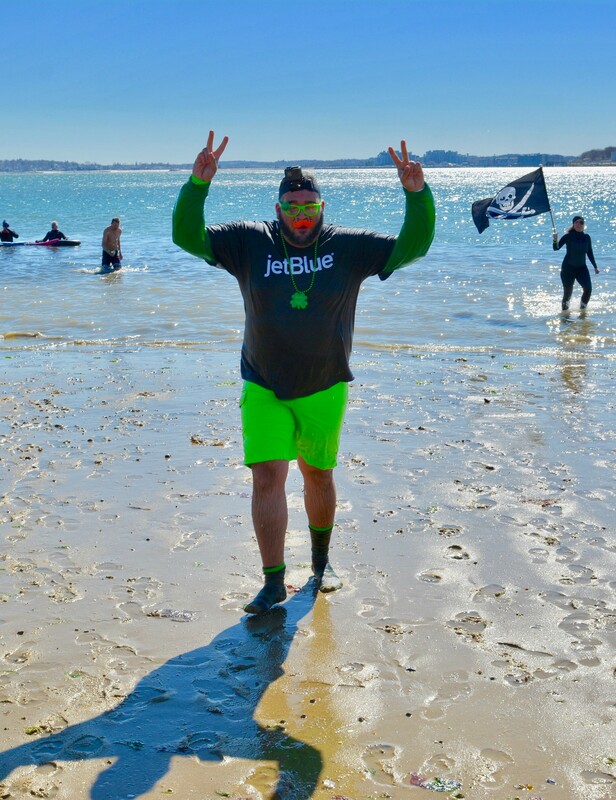 When I started at JetBlue 10 years ago, a fellow crewmember recommended I look into the JetBlue For Good Liaison position for Boston. I took on the role 8 years ago and never looked back. In Boston, we are close like a family, and we take pride in that. We’re going to help out in any way that we can. What organizations are you involved with now? With JetBlue, I have volunteered for Swing for Good for the past 5 years. I’ve also been part of 5 KaBOOM! 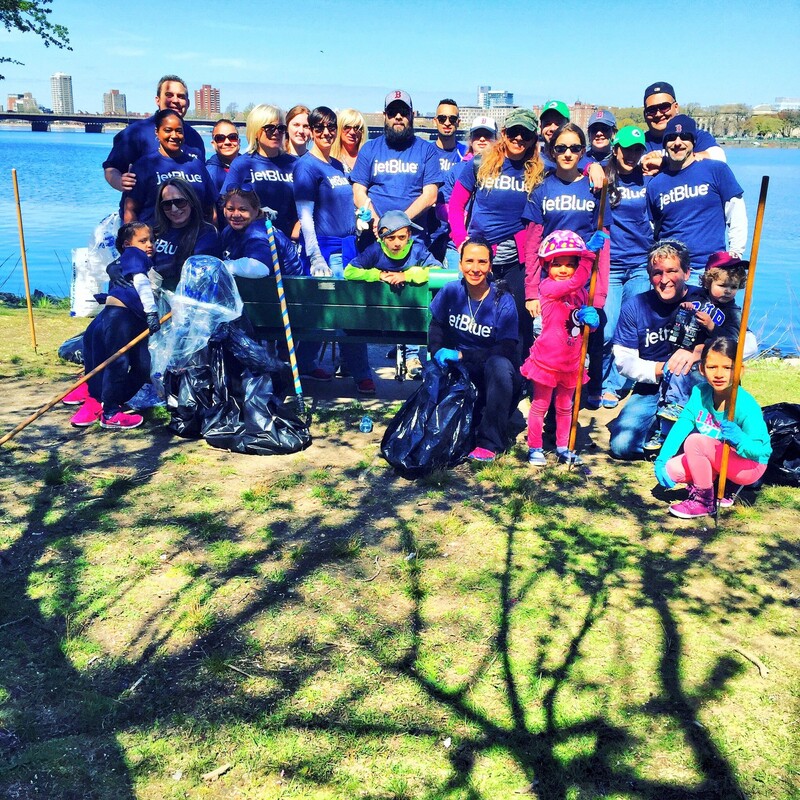 playground builds, the Save the Harbor/Save the Bay initiative in Boston, Wings for Autism and Blue Horizons. 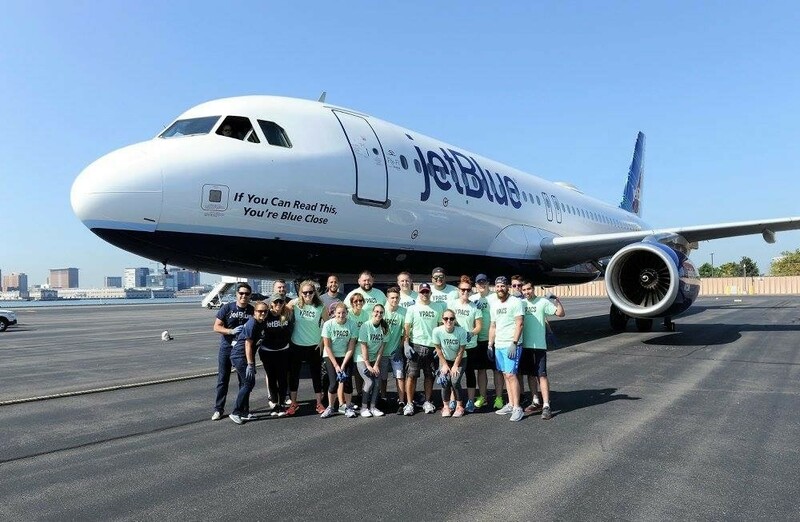 I am also on the JetBlue Ready Team, which is an American Red Cross volunteer program that deploys crewmembers to areas impacted by disasters. 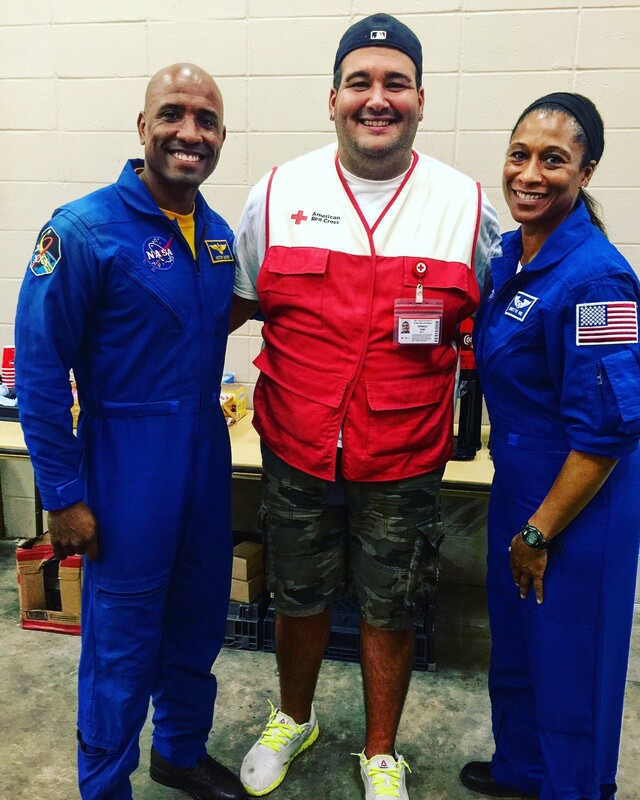 Through the Ready Team, I traveled to Moore, Oklahoma in 2013 to help rebuild after the tornado. I also traveled to Baton Rouge, Louisiana after the devastating flooding last year. Outside of JetBlue, I am involved with the American Cancer Society as the Chairperson for the Young Professionals Group in Boston. We raised $50K last year and close to $100K this year, and I’m really proud to be a part of this group. What are some of the moments that stand out to you from your experiences volunteering? The Wings for Autism program really stood out to me. I have a family member who is autistic and I never understood as a kid why he was different. This program opened my eyes to how the autism spectrum affects people differently, and this knowledge really resonated with me. My time in Oklahoma with the Ready Team after the 2013 Moore tornado was another pivotal experience. It’s one thing to see the devastation on the news, but to see the destruction with my own eyes was unbelievable. There were people who had nothing left but still wanted to help their neighbors. This natural disaster didn’t knock them down, and seeing that resilience in person was really inspiring. Thinking about that experience gets me a little bit emotional. It’s tough to explain, but it’s a feeling I’ll never forget. This experience made me appreciate what I have and how much more I want to help. You can’t take anything for granted, and you should always try to give back when you can. What advice do you have for people who want to get involved with their communities, but don’t know where to start? Don’t be afraid to ask! Try different things and see what you like best. Get your feet wet by volunteering with different organizations and going to different events. You’ll find your own way and find out what you’re passionate about it. Volunteering isn’t just volunteering if you’re doing something you love.